Join our Newsletter Today ! Subscribe to our mailing list and be the first to know of special offers and discounts! As Menorca's capital city, Mahon is an attractive location for enjoying the multitude of attractions that this beautiful Spanish island has to offer. This historic city, situated on the east side of the island next to an impressive deep blue harbour, is a charming mixture of Georgian style buildings and modern restaurants and bars. The island's temperate climate, which is particularly warm in the summer months, makes this a prime location for relaxing on the island's many sandy beaches or for trying some of the many water sports on offer. Due to its small size, Menorca can easily be explored by driving out of Mahon to see some of the most interesting attractions in the area. 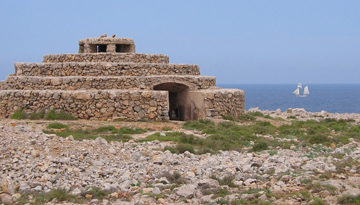 For a stunning panoramic view you can drive up Monte Toro in the centre of the island, or drive towards the west side of the island to visit the ancient Naveta d'Es Tudons, an important megalithic tomb. To learn more about the island's history and culture, you can spend some time at the Menorca Museum in Mahon or visit the Xoriguer Gin Distillery. Nature lovers will enjoy a day spent at S'Albufera des Grau Nature Park, a protected natural environment with a diverse range of mammals, birds and reptiles. 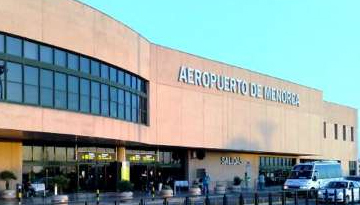 Expedia offers a cheap flight to Menorca from London Gatwick at £82 as a round-trip. Book now. 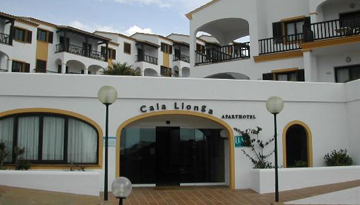 Aparthotel HG Cala Llonga has a pleasing surrounding at cheap rates with 4 star stay. Fly from Southend - Menorca & Stay for 7 nights with 4 star accommodation. Half Board.